Laksa as many of us know, is largely classified in two forms. The variety which we are more accustomed to seeing in Singapore is what I call the “lemak base”, with the liberal use of coconut milk for that rich and aromatic soup base. This is the form which our famous “Katong Laksa” is based on, which by itself is largely influenced by the Melakan Peranakan Laksa. 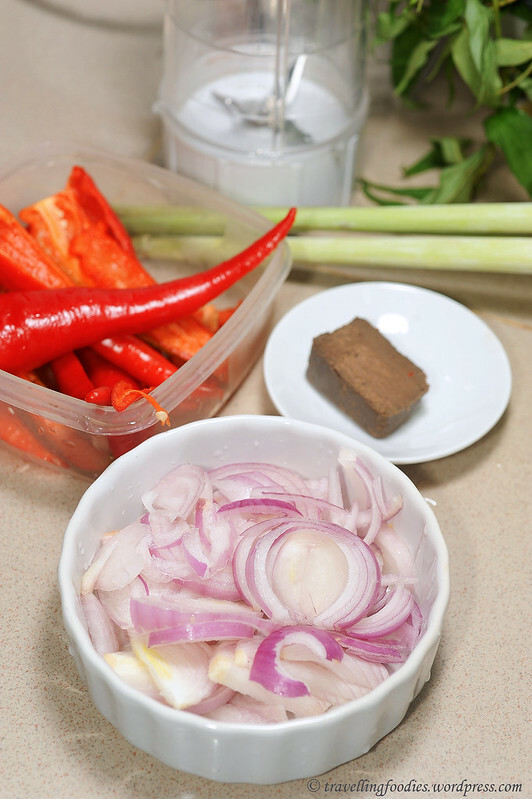 As we move further up north, we see the “asam base” varieties void of coconut milk but no less rich, owing to the deployment of various spices and herbs, made into an ulam. 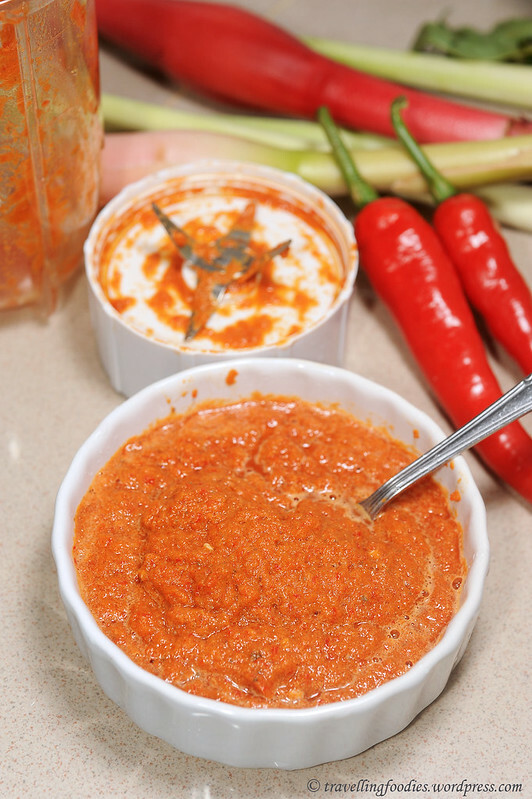 This is perhaps influenced from traditional Thai cooking, especially in its southern provinces that forms a land bridge into the Malay Peninsula. Laksa from the northern states adopt similar recipes, using fish and asam gelugor (asam kering) as the main ingredients for that tart flavours make the dish very very appetising and moreish! 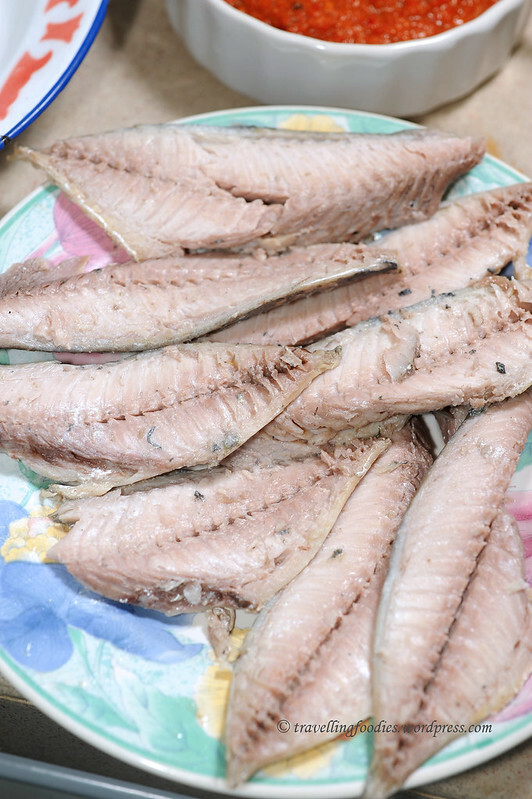 1 ikan belut (freshwater eel) appro. 500g with head and bones removed and save for stock base. innards and gills removed and discarded. Meat filleted and set aside. 4 ikan kembong (mackarel) appro. 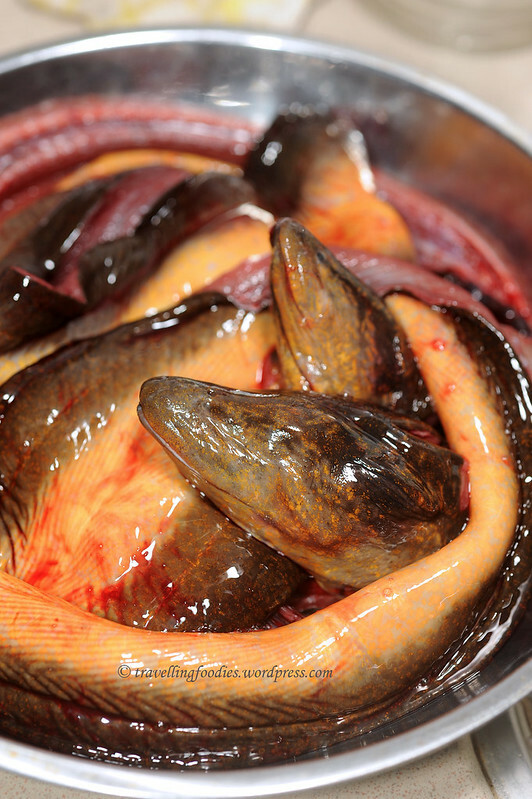 500g with gills and innards removed and rinsed. 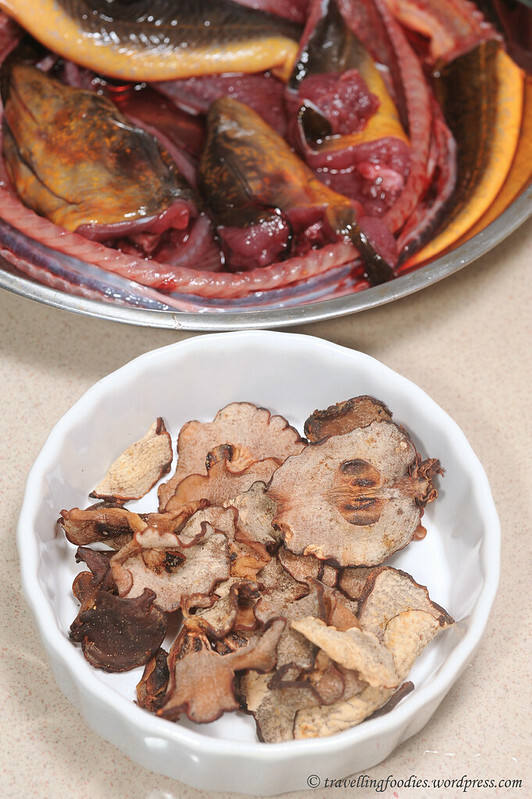 Place eel bones, ikan kembong and asam gelugor into a stockpot. Add water and bring to a boil. Lower flame to a simmer for 15 min. Remove ikan kembong and set aside to cool. 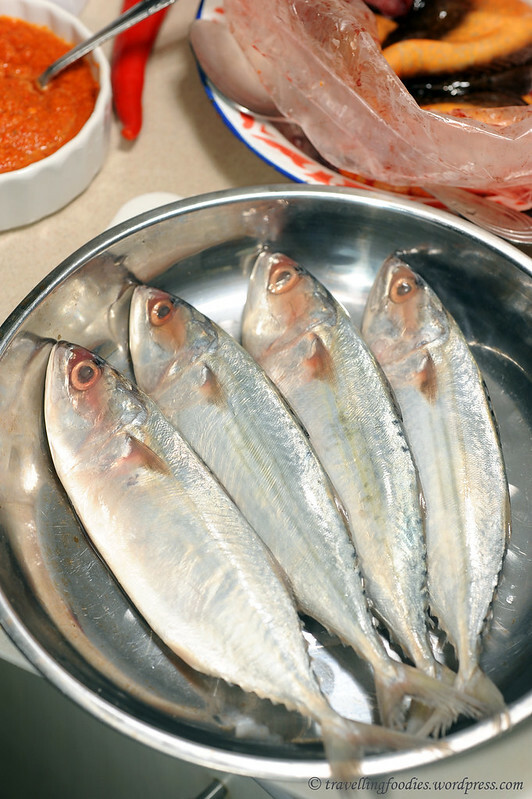 Remove cooked fish meat and pulverise finely. Be sure to remove all bones. Return ikan kembong bones to stock base. 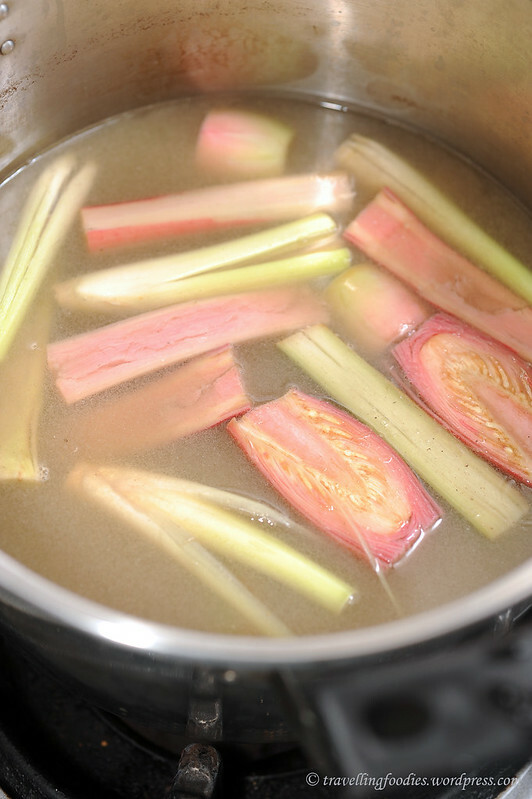 Add more water and allow to bring to a fast boil for 3-5 mins on high heat. 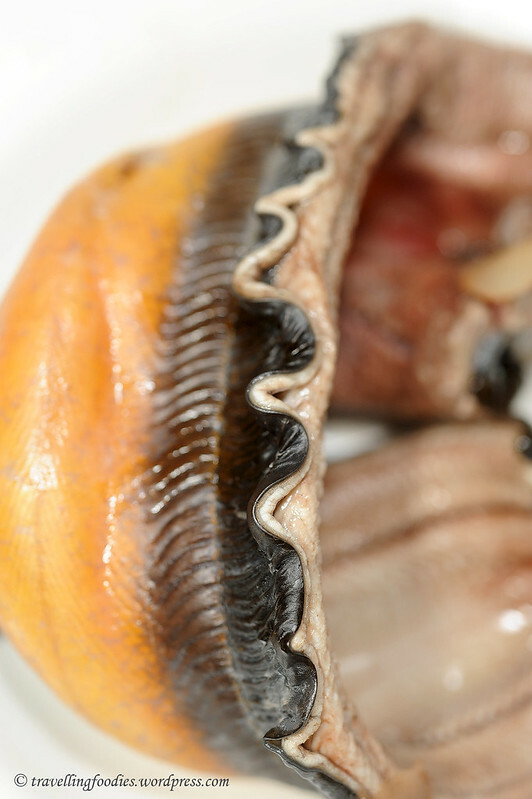 Strain and remove all fish bones and asam gelugor slices. Using a coarse wired sieve, remove bunga kantan, serai and daun kesom. Add pulverised ikan kembong meat and ikan belut fillet. Simmer for 10 min until ikan belut is thoroughly cooked. Adjust taste with sugar and salt. In a separate pot of hot water, blanch mee laksa into soft and cooked. To serve, place a portion of mee laksa into a dish. Give the asam laksa gravy a good stir to homogenise and ladle some gravy over the rice vermicelli. 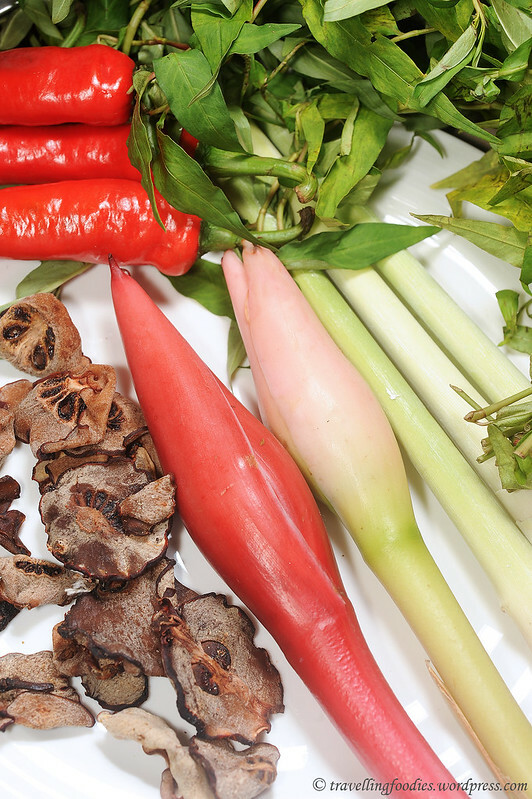 Garnish with all the ulam ingredients, i.e. juilenned cucumber, bunga kantan, red onions, slices of ikan belut fillet, calamansi, hard boiled egg and daun kesom. 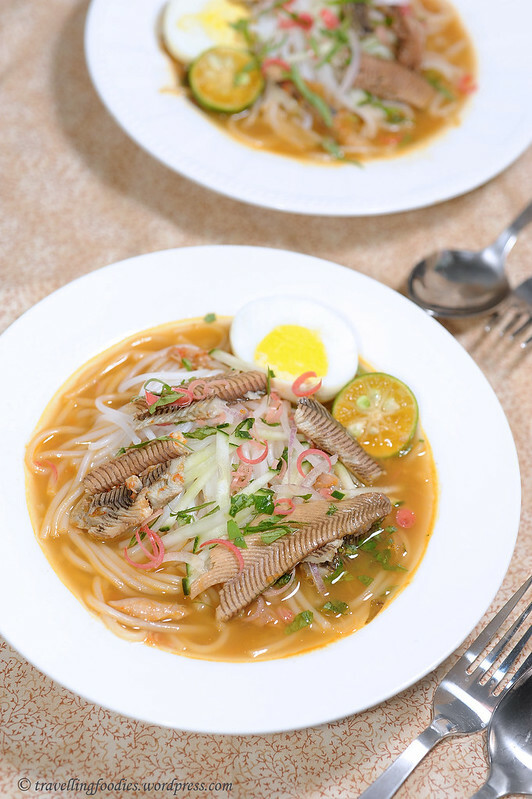 Tastewise, it is very very similar to the more popularly available Penang Laksa. 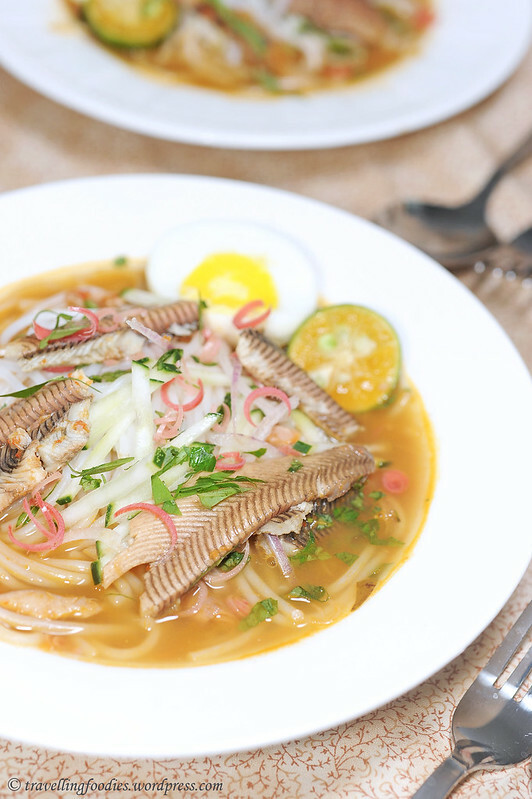 The “kuah” for Laksa Belut Perlis is noticeably richer, which is probably due to the fatty collagen layer under the eel’s skin being worked into the gravy. It has a consistency which reminds of Japanese “tonkotsu” soup based ramen. Its a refreshing change from the “lemak-based” Katong Laksa which I frequently enjoy back home in Singapore. Which do I prefer? Well, I like’ em they are unique in their own ways, and equally delish! 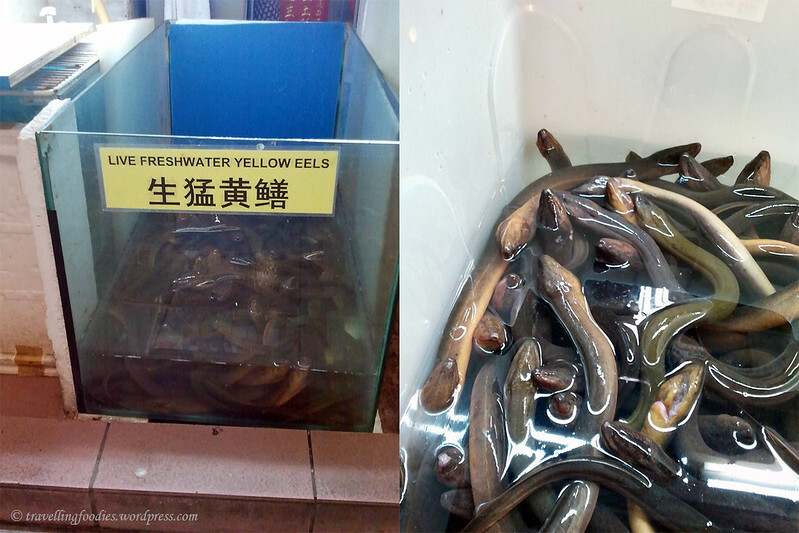 I bought two eels and one went to this recipe. What am I gonna do with the other? Unagi Kabayaki of course! This entry was posted on November 28, 2012 by Alan (travellingfoodies). It was filed under Food, Simple Eats and was tagged with asam gelugor, asam keping, asam laksa, bawang besar, belachan, belut, binga kantan, chilli, cucumber, daun kesom, 黄鳝, freshwater eel, Kedah, kembong, laksa belut perlis, mackarel, malaysia, Malaysian Food Fest, MFF, Perlis, red onions, timun, torch ginger flower. thank you for being so brave and take up this recipe. aiyoh, nothing brave la. just lucky to be able to find eel 🙂 thanks for the clarification on what “laksa utara” is about! I have never tried a eel Asam Laksa ,… it must taste very good. hi Wong, perhaps you can give it a try the next time you visit Perlis. very near to Penang! Hi Alan, definitely i will. Btw, any contact or map ? Hi Kelly, in this case, do you like japanese food? Japanese food come with lot of eel dishes as well. I wouldn’t dare to deal with eel either (I’m really scared of snakes), the slimy and slithery thing just give me the creeps. Well done on the dish!